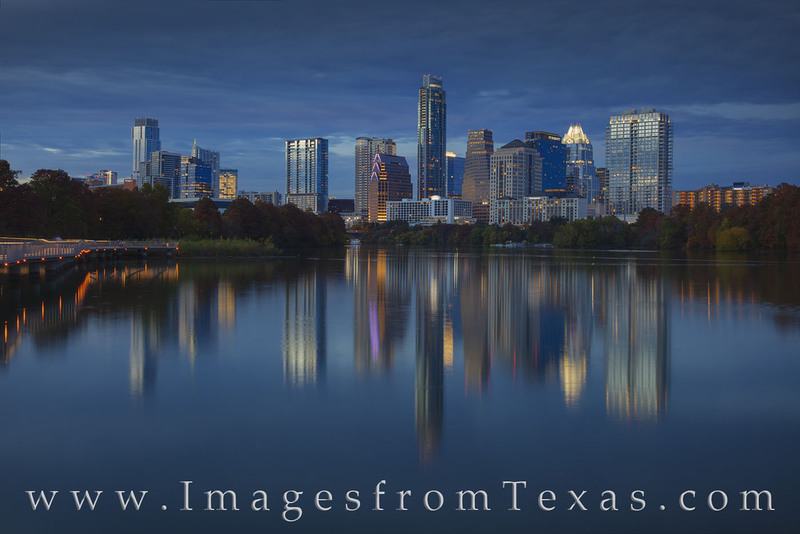 As night falls across central Texas, the Austin skyline lights up on a November evening. With Ladybird Lake (known as Town Lake to locals) very calm, the reflections of the highrises makes for a beautiful scene - almost like a painting. Photo © copyright by Rob Greebon.